Peoria has seen stable prices for nearly a year. 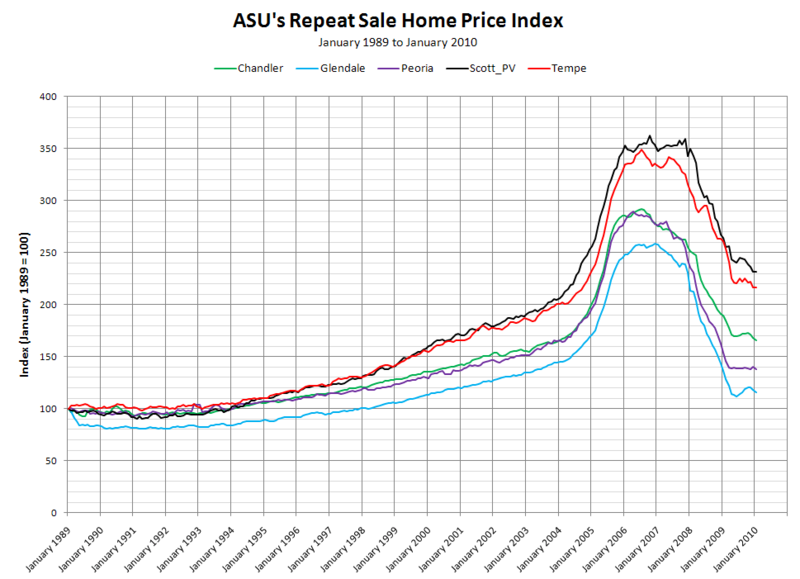 Carl Guntermann at ASU uses a modified Case-Shiller statistical technique to look at home price appreciation within metropolitan Phoenix. Case-Shiller only looks a home price appreciation in metropolitan Phoenix as a whole. I (John Wake) created the graph above based on ASU data. Will Option ARM resets cause another leg down in housing prices?